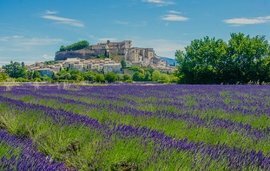 When international buyers ask our Winkworth Italy property experts which is the best place to buy a new home in Tuscany, we like to ask several questions of our own before we give them an answer. For example, are you moving to Italy permanently? Will you be seeking employment while you live here? Do you have children of school age? Are you a retirement buyer? 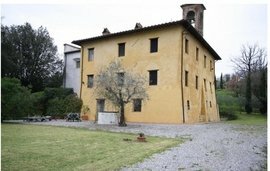 Are you searching for a new home in the Tuscan countryside or do you hope to buy a city property? Perhaps most importantly of all, what’s your budget? Once we’ve established your brief, we’ll make suggestions around where to base your Tuscan property search. Here are some common scenarios our buyers present us with. Even if you can do your existing job remotely, you’ll still need to be practical about finding the right property for sale in Tuscany. A fast internet connection, reliable phone signal, accessible travel links and a local coffee shop with wifi are the ideal. Happily, connectivity is no longer limited to the bigger Tuscan towns and cities, with an increasing number of internet providers to choose from. 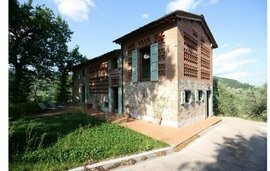 Nowadays, we often see remote properties like this house in Pieve Santo Stefano fitted out with offices, thanks to the improved download speeds provided by Wi-fi Italia and others. 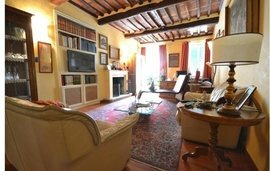 So you really can choose to live and work in a country property in Val d’Arbia, just as feasibly as in a central Lucca apartment. For the business traveller, Tuscany has international airports in Pisa and Florence. Both airports have frequent flights to major European cities. For high-speed train travel, the station at Santa Maria Novella in Florence (Firenze SMN) has fast routes to Rome and Milan. Italy’s unemployment rates currently hover just above the EU average. Discussion forums on sites such as transitions abroad are a fair indicator of the resourcefulness needed to generate income in Tuscany. If you don’t yet have a job in Italy but will need one in the future, explore your options in a city like Lucca or a town like Cortona. 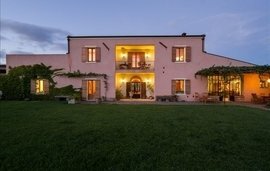 In both, you’ll find affordable property to buy or rent, a steady flow of international tourism and in Cortona’s case, one of the most popular places in Tuscany for overseas wedding celebrations. Both areas offer scope for entrepreneurial expats to market their native language skills. 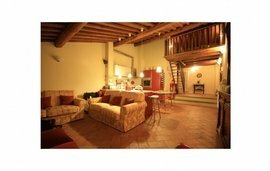 Expat buyers also continue to develop portions of their Tuscany property into holiday lets. 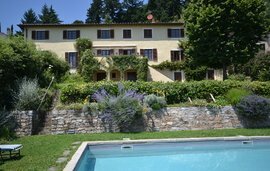 Take a look at our Tuscany property listings and you’ll discover a number of properties already adapted for this purpose. 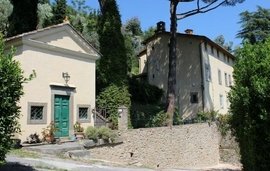 Buying a property in Tuscany for your family to grow into might be your dream, but deciding where to send your children to school is one relocation reality that needs careful planning. From kindergarten through to senior school, international schooling at every educational stage is offered across Florence, Pisa, Siena and Lucca. If your child already studies a British or American curriculum, or you’d like them to obtain the globally recognised international baccalaureate without the pressure of learning in a different language, find out more about international schools in Tuscany. If, however, you’re keen to immerse your family in the Italian language, some local state schools have the option to take classes in Italian as a second language. Whichever you choose, visiting potential schools as part of the property viewing process is vital. Italy’s number two World Health Organisation ranking in healthcare, together with its life-enhancing Mediterranean diet and climate, make Tuscany a popular choice for retirees. Resorts such as Forte dei Marmi feature beaches, pine woods and golf courses, together with a local bakery and pretty town square. Forte dei Marmi is just a short train journey from the city of Lucca. In Lucca itself, you can rest assured that our Winkworth agents will be tenacious in tracking down a suitable property for your retirement years. While planning restrictions on developing existing buildings can make finding an upper floor apartment with an elevator challenging, there are always exceptions - and beautiful ground floor apartments. You can enjoy endless advantages when living in a small city like Lucca, easily navigated on foot, with numerous options for history, culture and authentic Tuscan cuisine. Winkworth International have the answers to all your Tuscany property questions, so get in touch with our Winkworth Italy office today.